On Tuesday, August 30th, WCA supported Waipahu Intermediate School’s efforts to raise awareness on pedestrian safety. 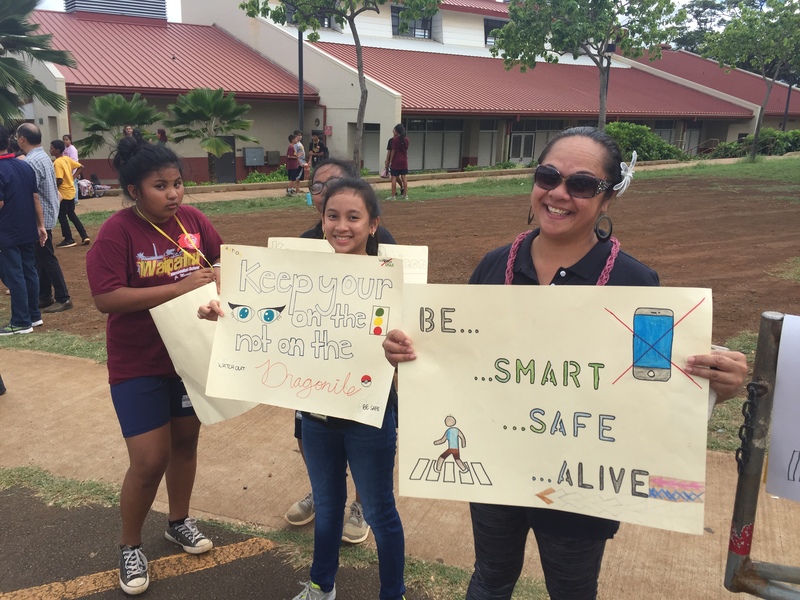 Volunteers from Kiewit Infrastructure Group, Hawaiian Dredging Construction Company, HART and area legislators joined students and teachers as they held signs to remind all road users to exercise caution, pay attention and be safe. Examples of signs included “keep your eyes on the road, not the Pokemon,” “Stay alert today to be alive tomorrow, “ and “Pedestrian Safety Awareness” and much more. Mahalo to Waipahu Intermediate School for inviting the WCA to be a part of keeping our roadways and sidewalks safe!